A man who killed his girlfriend's two-year-old son after weeks of systematic violence has been jailed for six years. 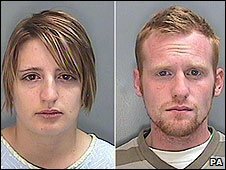 Joshua Jones was found dead at the home of his mother Nichola Bowman, 24, and Wayne Daveport, 26, in Tilbury Place, Runcorn, in November 2007. Bowman, who was found guilty of allowing her child to be harmed, was given a six-month suspended sentence during the hearing on Friday. Davenport was convicted of manslaughter at Chester Crown Court in July. Bowman had left her son in the care of Davenport, who had a history of drug abuse and violence, while she went to a pub. Prosecutors said Davenport had "lost his patience" and killed the two-year-old after subjecting him to weeks of physical abuse. On the night that he died, Davenport called an ambulance saying Joshua was limp and lifeless. The child was pronounced dead when paramedics arrived. Post-mortem tests found Joshua had suffered bruises to his thighs, knees and arm. He had scratches to his ankle, three marks on his back, and had suffered a broken arm and two rib fractures. 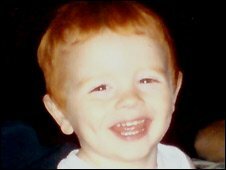 The toddler also had bite marks on his arm, which matched Davenport's teeth. Days before Joshua's death Bowman told social services she would not leave her son alone with Davenport. Judge Mr Justice Ouseley, sentencing, described her as "a victim" and suspended her six-month sentence for two years. He told Davenport he had a problem controlling his temper, but that he was not sadistic. "You did what you did because you couldn't control your temper and because you thought hitting a child was an appropriate way to dish out physical punishment or discipline," he said. Bowman's barrister, Stephen Riordan QC, described Davenport as an "evil" man who took advantage of her lack of self-esteem and confidence. "It was evil clothed at that time in what was for her a most attractive form because he brought romance into her life, bombarding her with flowers, poems and presents," he said. But he said his client, who has been the target of a hate campaign in Runcorn, was "blind to his controlling and dominating influence". Judge Ouseley said Bowman was so desperate to have a man in her life "she closed her eyes to what was obvious". A pre-sentencing report described her as a danger to children, but he disagreed, saying there was no public interest in sending her to jail. "I am entirely satisfied you were a loving mother who cared fully for your child," said the judge. "The person who is entirely responsible for the death of Joshua is Mr Davenport, not you." Speaking after the hearing, Pat Jones, Joshua's aunt, said she was angry at the sentences the pair received, believing that Davenport could be released in three years. 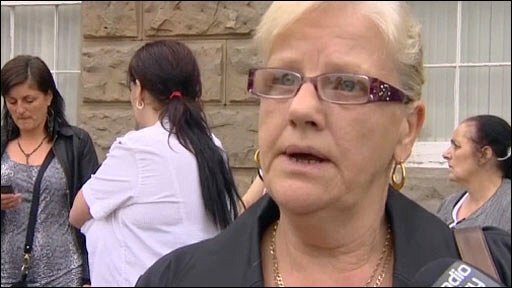 Ms Jones said: "I think it is disgusting, highly disgusting, they have got away. All he (Joshua) was worth was three years. "He was only a baby... she is walking and he got six years."